← Someone was having a bad day…. There is, sometimes, magic in the night…this was the scene which lit up my vision and my spirit on the way home last evening. 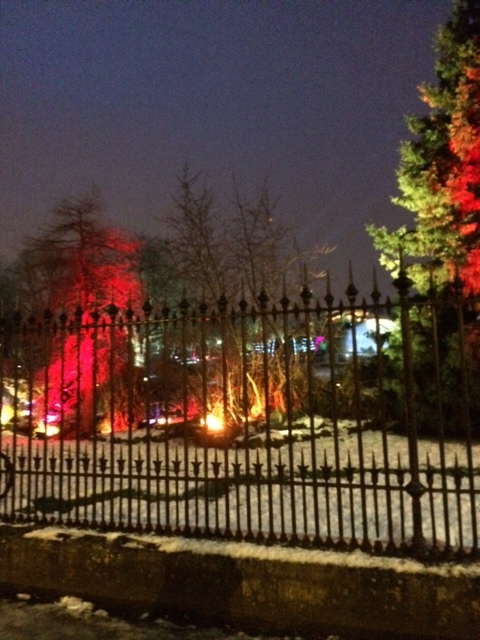 Our local Botanic Gardens in Glasgow is putting on a sound and light show called The Electric Gardens from 23rd January until the 15th February 2015, and those of us returning home were treated to the rainbow delights of a lights rehearsal for free! Enjoy the pictures. 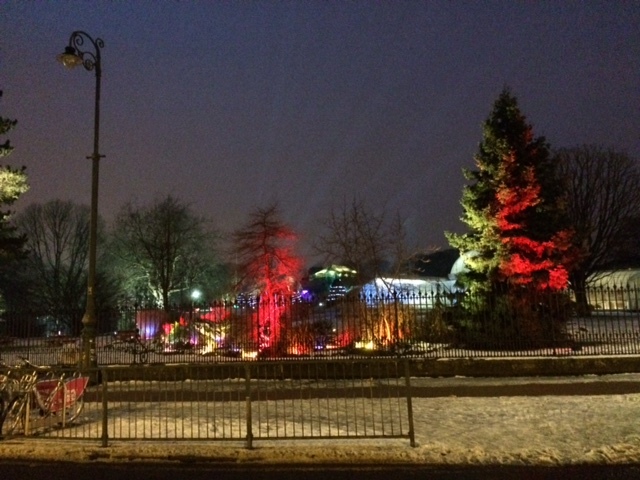 This entry was posted in 01 - new Posts: January 2015 onwards, Winter Nights - embracing the darkness and tagged Botanic Gardens Glasgow UK, magic in the night, The Electric Gardens Glasgow. Bookmark the permalink. That’s quite lovely. And how good of them to turn off the streetlight, the better to highlight the colors. It’s like Christmas decorations, only better. Thanks so much for sharing — it’s a truly cold, windy and rainy day here. We’ve had well over two inches of rain,which is good, but it is nasty. A good day for staying inside, huddled around the warmth of the computer! Well, here I am now, huddled round the warmth of MY computer, after venturing out this morning into a truly filthy wet, thawing day…however, I am going along to enjoy the magic of the lightshow on Wednesday coming – really looking forward to it. If I can do a small video, I shall post it next week. Keep warm, Linda! Thanks so much for sharing. A friend of mine is in Glasgow for a wedding next week, so I’ve recommended this to her.